Previously we highlighted what hydromulching was and how we planned on applying this technology to the restoration of Succulent Thicket. Since then we’ve all been waiting anxiously to find out what the outcome of spraying those huge amounts of water, wood-fiber, glue and spekboom into degraded thicket actually does. So three months after the treatment we returned to see what’s what and here’s what we saw. 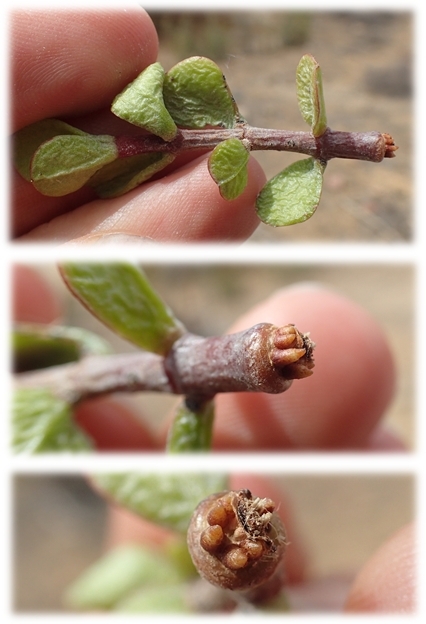 Firstly, three months is not nearly enough time to actually judge what the fate of the small spekboom branchlets (spekkies), plucked from their parent trees, will actually be, but if we find any signs of life in these little guys that will be a great sign. Upon arrival at the experimental site it was clear that this area hasn’t had any rain recently, with all but the noors (Euphorbia) being little more than bunches of dry twigs reaching out from a sea of stone and dust. This was confirmed by our chance meeting with a local sheep farmer, on his way to collect water for his suffering flock he informed us that to his knowledge the area was in the grips of the worst drought since the 1910’s. Most of the vegetation in the area was exhibiting clear signs of stress, even the prickly pears (Opuntia sp.) were suffering. Disheartened we walked to the first site. Here the treatment was to spray the spekkie/mulch mixture directly onto the exposed soils of the degraded veld. We were happy to see that the mulch had stayed exactly where it had been sprayed, but unfortunately none of the spekkies appeared to have survived being minced in the hyromulch tank and then sprawled out in the Jansenville sun for three months. In all honesty though, after seeing the state of the spekboom after being pumped though the hydromulch tank, we didn’t have very high hopes. The second site (with the same treatment as above) confirmed that placing spekboom directly into the tank was not going to work as again there was zero survival of the minced pieces of spekboom. Not only did it destroy the cuttings, during the day of the trial experiments the pump became blocked repeatedly. So if you are ever thinking of spraying spekboom through a hydromulch machine, don’t. At this point we had already looked at two of our three sites and it only took us less than an hour, thinking we were going to have an early day we checked out the final site. Here our treatment was a bit different, rather than putting the spekkies directly into the pump, we scattered them by hand and sprayed the mulch on top of them. As we approached the sprayed area we immediately noticed that we could actually find the cuttings and more surprisingly they were still green. This was starting to seem positive, these small cuttings still appear to be alive after three months of lying in the sun with little to no external moisture source (other than that provided by the mulch spray). To even greater amazement we found that many of these cuttings were starting to set root. Surviving Spekkies were found bound in the hydromulch matrix which is likely acting as an important buffer between the cuttings and the harsh environment. What we noticed was that spekkies ranging between 3 and 5 cm were more likely to have signs of roots than those of a larger size. It was amazing, one of these cuttings had even started flowering. The 3-5 cm size range was, unintentionally, the most common sized piece of spekboom plucked during the setup of the experiment. Only noticing this on our follow up visit did we realise that it was because it is the most common branchlet size range to occur on the surrounding spekboom. Whether this is as a result of herbivory or the environment and whether this phenomenon occurs elsewhere is unknown. However, if this sized branchlet is a common feature of spekboom morphology, could it also be an important component of this plants ability to clonally spread through herbivore mediated disturbances? Another aspect of these plucked branches that we considered to be an important attribute, potentially aiding in the survival and establishment of these spekkies, was the fact that the roots were consistently located on the section of the removal point that was not scarred. This should be considered in comparison to cuttings taken using sheers, where the entire cross-section of the branch should be considered as the scarred area and a sight for water loss and infection. Plucked cuttings on the other hand have a reduced scarring area, potentially reducing water loss and vulnerability to pathogens. Traditional spekboom restoration activities are also taking place in the area surrounding our experimental sites, allowing for quick in field comparisons between the success of our approach and that of the traditional approach. While previous attempts at truncheon planting yielded little positive results, the more recent plantings in the area (truncheons planted after we set up our experiment) appear to be surviving and a number of adhoc experiments appear to be taking place through the initiative of the implementers managing that process. After digging up some of the recently planted truncheons we notice that they were also frequently exhibiting rooting activity! While those planted months before had no roots, were more prone to below ground termite damage and rarely showed any signs of life. Furthermore, cuttings that had flower buds present generally had root activity more often than those with no flowers, and truncheons planted within and around bush clumps generally had more flowers than those out in the open. Could this be an indication that there is a time of year (flowering season) when it is better to plant spekboom cuttings? All we know is that while it may be too soon to claim hydromulch based spekboom planting as the saviour of succulent thicket, it definitely has the potential to change our approach to restoring this ecosystem. But only time will tell. And only if you don't put the spekboom through the hydromulcher! On a recent field trip to check up the status of the hydromulching experiments with Nicholas Galuszynski and Robbert Duker, we made some observations that have led me to propose a "rooting window hypothesis". The crux of this hypothesis is that damaged parts of spekboom branches (e.g. the base of a cutting) requires moisture soon after the damaging event to stimulate root growth. If there is not sufficient soil moisture during this rooting window period, then the cell death around the damage point inhibits or retards root growth even if there are periods of sustained increases in moisture levels after the rooting window. What observations led to this hypothesis? 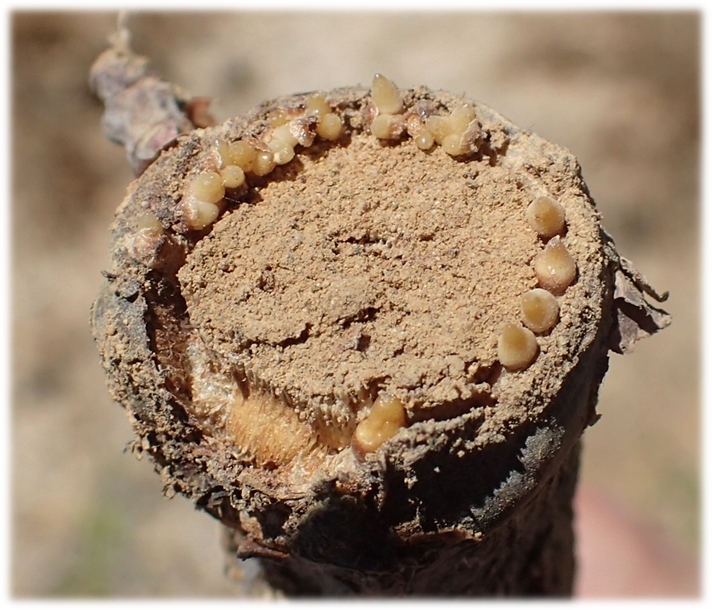 In the hydromulching experiment, we found spekboom branchlets with clear indications of root buds. Small spekboom branchlets were removed by hand and sprinkled over ground that was then hydromulched. See this blog post for more information. The mulch is soaked with water and so would have provided a moist environment for many days after the hydromulching. 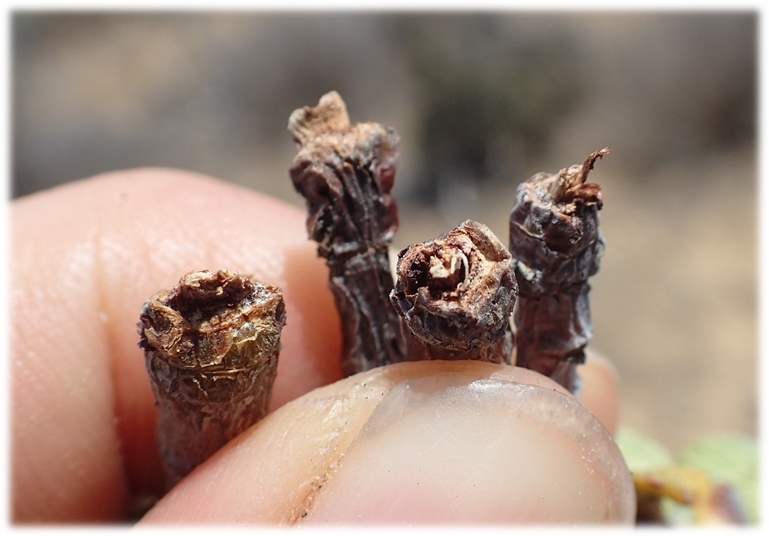 These are small spekboom branchlets that were scattered in areas that did not receive any hydromulching. There is no evidence of the incipient root bud, and these base ends were crispy, dry, and probably dead. Note that these branchlets had leaves that were in a visually similar condition to the branchlets in the hydromulch treatment. 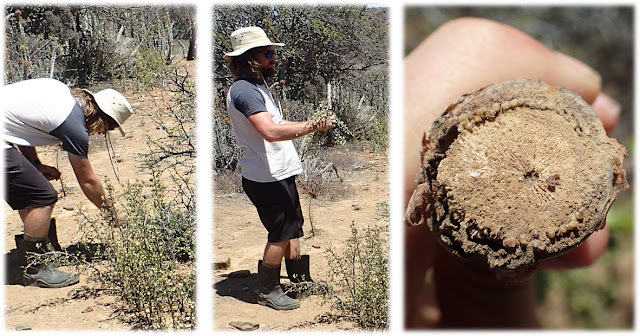 In a separate experiment run by Klaas Basson from the GIB, we observed amazing rings of rooting points at the cutting base. We found a halo of spekboom planted around an Acacia karoo, part of Klaas Basson's new experimental planting efforts. I was astounded to see the ring of rooting buds. This is one of greatest potential rooting areas I have seen on a spekboom cutting (and we've been digging\pulling up a lot). 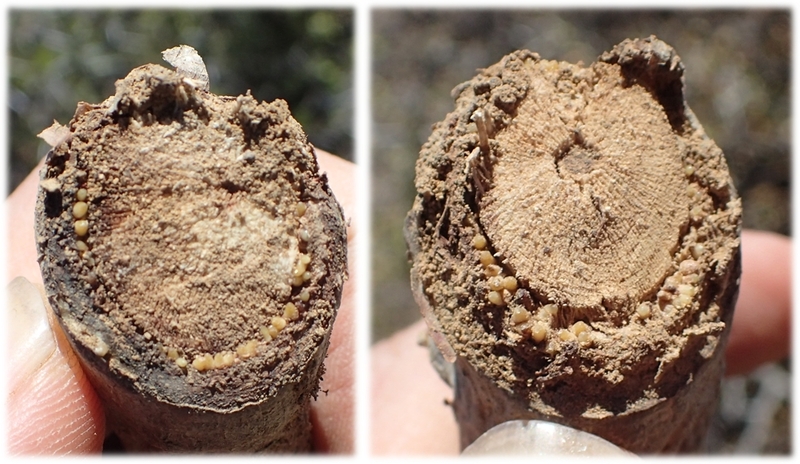 We observed these rings of rooting buds in many other cuttings that we deduced were planted at around the same time. So, did all cuttings in this site have this evidence of rooting? Note the green bark section exposed after some scraping with my thumb nail. So, what was the difference between those cuttings with root rings and those without? This question had us stumped for quite a while - we went down several avenues that ended up being dead ends (e.g. cuttings planted in shade developed root rings) - until I phoned Klaas and asked him if had watered the cutting associated with his most recent experiments. It turns out that he had! About 200 ml per cutting at the time of planting. Another crucial point is that we're going through an extreme drought in the Eastern Cape, and this area in particular, so there has been very very little rain (~5 mm in the months since the hydromulching and these cuttings were planted). So, the common denominator between the hydromulched fingerlings and the root ringed cuttings were that they had water immediately after planting. 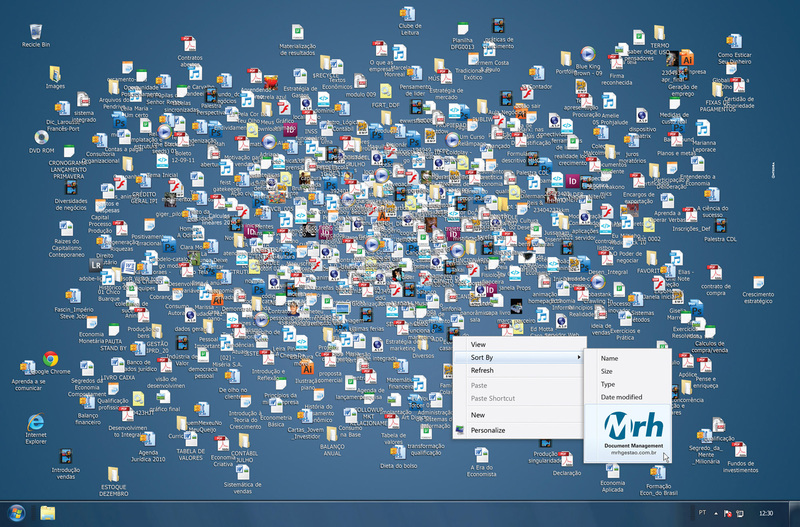 This brings me back to the rooting window hypothesis. These observations suggest that damaged spekboom areas have a limited window of opportunity to develop root buds. This is a possible answer to a number of conundra that have been troubling me, such as why some damaged skirting does not form roots, and why some spekboom transplants do fine while others do not, even in years with good rainfall (the latter did not receive sufficient moisture in the post-damage rooting window). To reiterate, the hypothesis is that post-damage moisture availability is required to stimulate rooting. It is not for stabilising a plant that has been transplanted due to roots losing connectivity with the soil structure, which is the usual reason for watering after transplanting. the entire growth trajectory for a cutting is determined by the root development stimulated by post-damage soil moisture in a narrow window of opportunity. Moisture availability outside of this window is of much lesser importance. On another note, in previous blog posts (e.g. here and here), we have argued that smaller cuttings should be used for spekboom restoration. Compare the protective seal in the two spekboom images below. On the left is the standard truncheon, and on the right is for a 'fingerling'. On the left image, that central section of xylem on the left is dead tissue that is an opening for pathogens etc. There is a complete seal on the 'fingerling' (note that the black-looking tissue is actually the hydromulch still sticking to the cutting). it is easier for the cutting to seal and keep out pathogens. it establishes a good root-to-shoot ratio before the plant becomes big enough to be readily observed by large herbivores (this is important to withstand browsing and not get pulled out of the ground). the roots will establish near the surface, which is crucial in arid environments where moisture rarely deeply penetrates the soil. they have a smaller 'reserve' so they will have less chance of survival without help, or rather they cannot be treated the same as the larger truncheons which are stuck into bare ground away from any form of shelter (i.e. nearby trees). A few weeks earlier: "I'll just 'save to desktop' now since I'm in a rush, but I'll sort everything really, really soon..."
Your file names should be relevant and meaningful, and provide the “what, when, where and how” of the the file. Be consistent, and rather tha using spaces, use underscores or capital letters to make computer searches for files more successful. If you are using dates, use the format YYYY_MM_DD, or YYYYMMDD. Names of authors/data collectors should be full initials, or surname first, followed by initials. Your dissertation/thesis is going to go through many rounds of comments, first from your supervisor\s and then from your external examiners towards the end of your degree. If you try to do everything from one document, you will lose a vast amount of information through the editing process. You have to save each version separately, so that you have the means to go “back in time”, and follow the evolution of your study as it becomes more refined. Save your first version with the suffix “before comments” and the date you sent it to your supervisor for review e.g. Ch1_before comments_20140426. When your supervisor sends back a chapter full of comments and edits, save that version exactly the way it is, also with a date and your supervisor’s initials at the end of the file name, e.g. Ch1_AEM_20140513. You can then start working in the document with your supervisor’s comments, and save this version with your initials following your supervisor’s e.g. Ch1_AEM_MCW_20140530. On a side note, don’t be tempted to “accept all changes” as Microsoft Word allows you to do – you won’t learn anything about scientific writing that way. There are a few options (see here) when it comes to reference managers. I initially chose Mendeley simply because it is free, but I am really enjoying it as a “one stop shop” for all my literature needs. You can import a PDF directly from the internet using the web plugin, and then read, highlight and annotate the paper itself in the built-in Mendeley PDF viwer. While initially the PDF remains wherever you saved it and Mendeley saves a shortcut, the Mendeley file organiser tool (under preferences) can actually locate all the papers (scattered around your downloads folder and elsewhere) and reorganise them into a central folder wherever you want. It will even rename the PDF’s however you prefer, with author_year_keywords_journal being my favoured order. This way, if you clear out your downloads folder or delete the PDF’s that are clogging up your desktop screen, you don’t suddenly lose your meticulously highlighted papers. You only have to do this once – after the initial organisation Mendeley will automatically save a perfectly named copy of any file you import into this very aesthetically pleasing folder. Try to make a habit of downloading all your papers via your reference manager – it might seem like a schlep to wait the extra minute while Mendeley processes the PDF and to check that the author, year etc. are all correct, but you’ll be much happier later when you can insert the citations easily into your dissertation, without having to sift through hundreds of papers in one batch.